UK taxpayers will have shelled out no less than £215m for each of our 107 jets – that’s $350m at today’s rates, rather more than the US taxpayers have been made to pay for each of their 185 Raptor superfighters2, almost all of which will be used operationally. And the Raptor has third-generation Stealth: the Eurofighter has no stealth features at all. The Raptor has thrust vectoring for unbeatable manoeuvrability in a dogfight: the Eurofighter doesn’t. The Raptor is a hugely more sophisticated and powerful aircraft, and is actually – astonishingly – somewhat cheaper, despite the fact that it is being made in much smaller numbers than the Eurofighter! That’s a really astonishingly bad bit of value for money on our part. 1That was the original order when the project kicked off, and the price has not gone down – just the numbers of jets. 2Development and procurement cost of the Raptor for 183 useable jets is stated at approximately $62bn by the US air force, putting each jet at $339m. I’m not the first, but allow me to add my sarcastic congratulations to the Labour government and the MoD for putting ‘European’ dogma ahead of value for money and getting the best equipment available. Also to the Conservative-Lib Dem coalition for eviscerating our armed forces instead of merely fixing the problems associated with procurement; and furthering ‘European’ aims of forming a common EU military force at the expense of our own capability. You politicians and civil servants are truly the most worthless, incompetent and contemptible scum of the earth. We are seeing here structural cuts which remove the UK’s ability to act independently as a nation, and to project our foreign policy. We have moved from independence to a transitional stage where our capabilities have been removed and there is no replacement. The agenda unfolds. 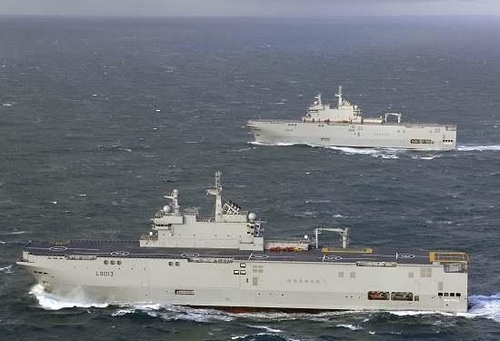 An interesting follow up to a story this blog ran in January last year, when France confirmed it had done a deal to sell the Mistral class amphibious warship to Russia, along with advanced military technology. In Lisbon, I heard Barack Obama tell Dmitry Medvedev: “You’re not just a partner but a friend.” You can not blame France for delivering boats to a friend. These are not merely ‘boats’. These are command and control centres providing a helicopter borne and landing craft based amphibious assault function that fills a large gap in Russia’s military capability, enabling troops and tanks to be deployed from the sea. The original deal was for one vessel, but now it seems to have grown to four. As far as friend goes, what kind of friend feels the need to regularly probe our airspace with long range bomber and reconnaisance aircraft? What kind of friend prevents suspects in the case of poisoning a dissident with radioactive material in this country from being brought to justice? What kind of friend makes nuclear threats towards a peaceful European country? Presumably France does not see Georgia as being as valuable a ‘friend’ as Moscow. Having been invaded by Russia, which contrived a crisis in two breakaway regions in Georgian territory, Mamuka Kudava, Georgia’s ambassador to France, said last March that it would be “incomprehensible” if France were to sell the Mistral to Russia. It is an understandable view given that Russia’s senior naval officer Vladimir Vyssotski said last year that the Georgia conflict could have been resolved in ’40 minutes and not 26 hours’ if his forces had had the ships at the time. Perhaps for the likes of Sarkozy and Juppé friends are determined by the size of their wallet and willingness to buy French equipment. One wonders how long it will be before Barack Obama revises his assessment that France is the US’ strongest ally as it helps re-arm the Russian military. 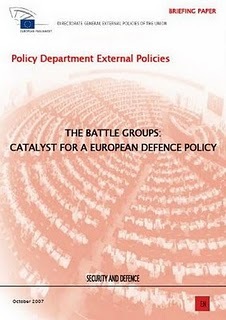 The long planned European Security and Defence Policy (ESDP) draws closer to its fruition. In the 1990s, under the last Conservative government, the plan was hatched. Then under Labour in 1998 London and Paris agreed to jointly and actively work to make the European Union ‘able to carry out some security tasks on its own’. That was always the intention since the Tories signed the policy. With the UK and France effectively forming a twinned military, the EU can assume control giving it that coveted ability to ‘to carry out some security tasks on its own’. It gives the EU a military force to go with its new legal personality as part of the step change to eradicating nation states. It seems strange that senior officers of the RAF are not aware of what the politicians have agreed and the agenda to which they are working. It is no surprise that the media has been in complete ignorance, but surely the senior ranks of the armed forces should already know how they are expected to operate in the future. All the pieces of the jigsaw are on the table waiting to be put together. When they are assembled, thanks to David Cameron, Liam Fox and William Hague, the picture will be a British soldiers, sailors and airmen ‘harmonised’ with the French, being part of an EU military force operating under Brussels’ control into which the smaller armed forces of the other member states can be inserted one by one until all of them operate under the blue flag and gold stars of the illegitimate articifical construct. Instead of focusing on the comparison between an eviscerated RAF and Belgium’s ‘air component’ the media should be focusing on the bigger picture which explains why this is being done. Royal Navy nuclear submarine navigation problems? A written answer in the House of Commons from the Minister for Defence Equipment, Support and Technology, Peter Luff, suggests there is a problem with Royal Navy submarine navigation systems or crew training. Despite Luff’s answer to a separate question about training to avoid collisions and groundings that courses are comprehensive, complex and demanding it seems the problem is getting worse. Perhaps the UK strategy is that Britannia should give up pretending to rule the waves and rule the seabed instead. Who voted for this? Did anybody? Did any man or woman put their cross in a Tory box on election day and imagine that all this would come about? Let the soul searching and recriminations commence. Listening on BBC Five Live to David Cameron’s comments during his joint statement with Nicolas Sarkozy on UK-French military cooperation underlines just how slippery and untrustworthy he is. 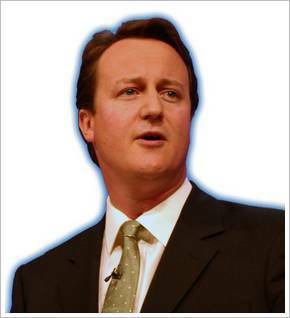 Cameron stated that Britain and France would remain sovereign nations with their own independent military capabilities. He said that in recent history there have only been two occasions when Britain has launched a fully independent military campaign, the Falklands War and Sierra Leone. Cameron then went on to point out France and Britain’s joint involvement in theatres such as the Balkans and Kosovo (of course he did not mention the French officer who passed NATO military plans to Serbia). But deliberately missing from Cameron’s little speech was the word interoperability. Also deliberately avoided during his high speed pass over recent military history was any mention of the invasion of Iraq. yet this is where the risks of Anglo-French military ‘cooperation’ exist. Interoperability in the context of this treaty means certain capabilities will be provided by Britain and others by France. It makes the two countries reliant upon each other and unable to operate independently. Interoperability only works when the partners in a cooperation pact share a common aim. During the Iraq campaign where we supported the Americans, this was not the case as France refused to take part in the invasion. The UK was unhindered by interoperability constraints because we possessed the independent capability to put our troops, tanks and aircraft into theatre to invade southern Iraq. We didn’t need the French. The Anglo-French treaty signed today by Cameron and Sarkozy makes Britain reliant on France in military matters because Britain will no longer retain the necessary capability to operate alone. 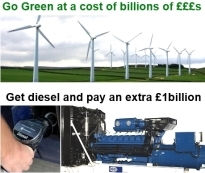 They claim this reduction in capability is designed to save money. But what happens when Britain needs the French in order to be able to deploy the necessary men and materials to protect British interests overseas and the French refuse to provide the capability because they disagree with the action? It is an unacceptable and short sighted risk and Cameron’s assertion that Britain will retain a sovereign capability is a lie. This is a continuation of the Maastricht Treaty agenda, as this briefing note makes clear. Agreed by the Tories under John Major, this set up the parameters for the development of a European Security and Defence Policy (ESDP). The process continued with the Franco-British meeting in Saint-Malo (France) in December 1998. That was when London and Paris agreed to jointly and actively work to make the European Union “able to carry out some security tasks on its own”. With the two largest military powers in the EU brought together by this treaty it is much easier to subsequently add the armed forces of other EU member states to the mix, piece by piece. It is through this phased approach that the EU will achieve its ambition of being a military power and the federal superstate will boast its own army, navy and air force. Cameron and Sarkozy have just concluded phase one. 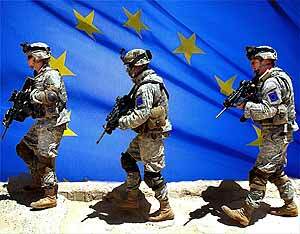 2005 – The next step will be to form a Europe-wide foreign policy and merge the armed forces into a single EU army. 2006 – The President of Poland, Lech Kaczynski, has proposed the creation of a 100,000-strong EU army designed to work with NATO. 2007 – “We need to get closer to a common army for Europe,” Merkel last week told German daily Bild. 2007 – David Miliband yesterday called for greater military cooperation between European countries – fuelling fears of a possible EU army to rival Nato. 2008 – In a little-reported speech on May 6, Germany’s Foreign Minister Steinmeier called for greater efforts to create a common EU army. 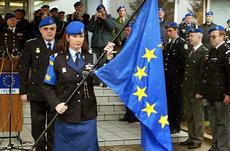 2008 – Slowly but surely, the hidden agenda of the European Union’s foreign policy elite, led by France, becomes clear. They want an EU ‘army’, ‘hard power’ and a grand new military headquarters. 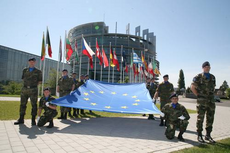 2008 – The freshly appointed UK defence secretary has publicly supported on Monday the idea of a European army. The problem seems to be ordinary people thought this was something that simply could never happen. They saw the reports of an EU Army, figured these were the pipe dreams of self important windbags, and returned to the more serious business of deciding who to vote for on X Factor and which EastEnders character would be next to be run over in Albert Square. Or perhaps some thought a Conservative like Cameron would be elected and stop it happening – not reckoning on the fact the man as heir to Blair and his ‘progressive’ ilk is fully signed up to selling the UK out. In their distracted state what most people did not realise or did not care was that these windbags were working unchecked to award themselves the power to carry out their plans. The salami tactics of seizing power slice by slice did not register with many, but they have brought us to this defining moment in our history – a moment when the UK completes the surrender of itself to the bureaucracy. Those who saw it coming shouted from the rooftops but were told to stop ‘banging on’ about Europe by the very man who will move the first piece on the board to make the dream a reality by signing a ‘cooperation’ agreement with the French that signals the end of British military independence. Perhaps this was what Cameron had in mind when he spoke of ‘letting sunshine win the day’. There is a word that fits Cameron perfectly. Collaborateur. Defence Secretary, Liam Fox, ventures forth in the Sunday Telegraph today to set out his view that a closer alliance with France will be good for Britain. In doing so he intentionally attempts to mislead the public about the long term direction of Britain’s defence policy. Too often, the debate on defence within Europe has been focused on what the EU should or should not do. Yet it has always been my view that defence must be a sovereign, and therefore an inter-governmental issue. When nations can benefit from co-operation without losing sovereignty, they should aim to do so – which is why this week will mark the beginning of a long-term commitment to closer defence and security links with France. This is delusional rubbish. It doesn’t stand up to even cursory scrutiny. Any national defence capability that is dependent on the active cooperation and involvement of another nation before it can be deployed is, by definition, not sovereign. The Fox rationale of ‘cooperation’ being important in saving money is a red herring. The problem with our defence spending has not been the amount spent, but how it has been wasted on the procurement of the wrong equipment, usually at grossly inflated prices. Let us be clear, Fox is not talking about international cooperation – a good example of which is NATO. Cooperation equates to the sovereign and independent defence capabilities of a number of countries coming together to achieve specific operational goals of mutual interest. What Fox is describing is interdependence – where the military force of a country (in this case Britain) is incapable of acting unilaterally and can only be deployed if another country provides the missing elements required to conduct operations. This is not good for Britain. 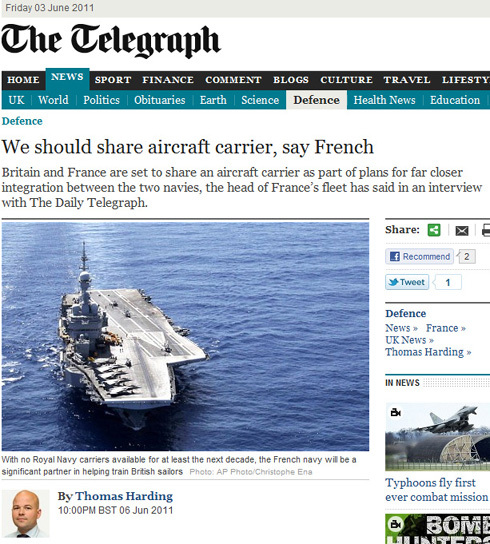 As a number of people commenting on Fox’s Telegraph piece point out, everyone can think of conflicts in recent years where France would have refused to allow its assets to be deployed to enable British operations, because involvement in such actions would have a negative impact on French trade or financial interests. We know that even the closest of friends and allies sometimes oppose actions undertaken in our self interest – America during the Suez crisis anyone? We know that the interests of our friends and allies often conflict with our own wishes – France selling warships to Russia anyone? But the observations of nearly all the commentators on Fox’s essay fail to make the final step on their journey. For any number of reasons they fail to recognise what the end game really is, perhaps because the destination is such anathema to them they could not conceive our government would work towards such an outcome… namely that defence is being readied to become an EU responsibility. The goal is that the defence of the United Kingdom will cease to be the sovereign responsibility of the British government and that it will be, at some point in the future, managed by the EU. The goal that the most essential pillar of self determination of a nation state will be removed as a part of the objective of ever closer union on the path to full federal governance from Brussels. No matter how close our friends and allies might be the United Kingdom absolutely must maintain an independent and sovereign military capability that can be deployed unilaterally to protect this country and defend this country’s interests overseas. Liam Fox, David Cameron, the coalition government and the rest of the political class are not serving Britain’s interests, but serving the wishes of the EU. And yes, the Tories with their weasel words and attempts to wrap themselves in the flag are complicit in this and have actively driven this forward. 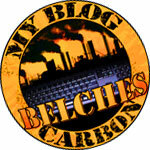 Without being melodramatic there is only one word for such behaviour and that is treachery. When are people going to shake themselves out of their slumber and stand up against the dismantling of this country? 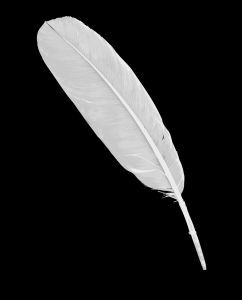 How fitting it is that the word treachery comes from the Old French trecherie, from trechier, meaning to cheat, compare or trick. One of the finest undertakings by any blog, the Battle of Britain series of posts by Dr Richard North on EU Referendum, has reached a natural finale today. If you’ve not read the series I wholeheartedly commend it to you. The series of posts, with at least one published on the anniversary of each of the 114 days of the ‘Battle of Britain’ represents a masterclass in historic research and analysis. It has been a fascinating examination of those events during 1940 and the spin, disinformation and interpretation not only during the war but in the construction of the subsequent narrative. We have to wait until next September for North’s compilation of the blog posts to be expanded upon and published in book form. But the endeavour promises to be an essential and enjoyable read for anyone with an interest in military history. Congratulations to Dr North on such a magnificent achievement. Can you imagine, just for a second, the US Navy or Russian Navy putting an aircraft carrier to sea with no aircraft? Can you imagine France scrapping the Charles de Gaulle without immediate replacement and giving up its strike capability for a whole decade? Can you imagine India putting its forthcoming Vikrant class carrier to sea, but with Thai rather than Indian owned aicraft? The questions should be seen as preposterous because they are. But these are the scenarios facing our senior service, the Royal Navy, thanks to a government that is determined to make much needed spending cuts, but refusing to make them in those areas that have been soaked in additional or wasteful spending by the profligate Labour administration. Either the government is serious about the defence of the United Kingdom and its interests overseas, or it isn’t. The threat to this country, while recognising there are homegrown terrorists eager to attack us, originates overseas. The people who wish to harm this country and its people train overseas. Therefore we need to be able to act to defend ourselves overseas and air power is an important element in such actions. There is no middle ground here. 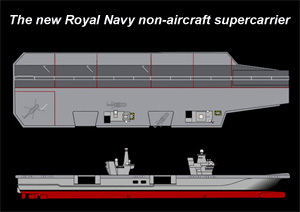 The government must retain a maritime strike capability until HMS Queen Elizabeth II and HMS Prince of Wales are fully operational with the proper complement of strike/fighter aircraft. HMS Ark Royal should not be retired early. 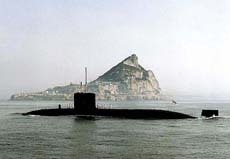 And it is ridiculous that we might only have an intermittent nuclear deterrent in future because the plans for reducing the submarine fleet mean at times we will not have an attack submarine at sea. Billions of pounds have been swallowed in welfare overpayments and the errors have still not been fixed. Billions have disappeared into the black hole of PFI projects where the taxpayer has been fleeced. Billions have been wasted on idiotic defence procurement flights of fancy. The list continues. These things should be fixed instead of degrading our military capability. Perhaps we can copy the Russians and fill the flightdeck with inflatable decoy aircraft to give the impression we are serious about defence. Hey, heard the one about the country that had a defence strategy that allowed it to build two supercarriers but didn’t budget for the planes they’re supposed to carry…?